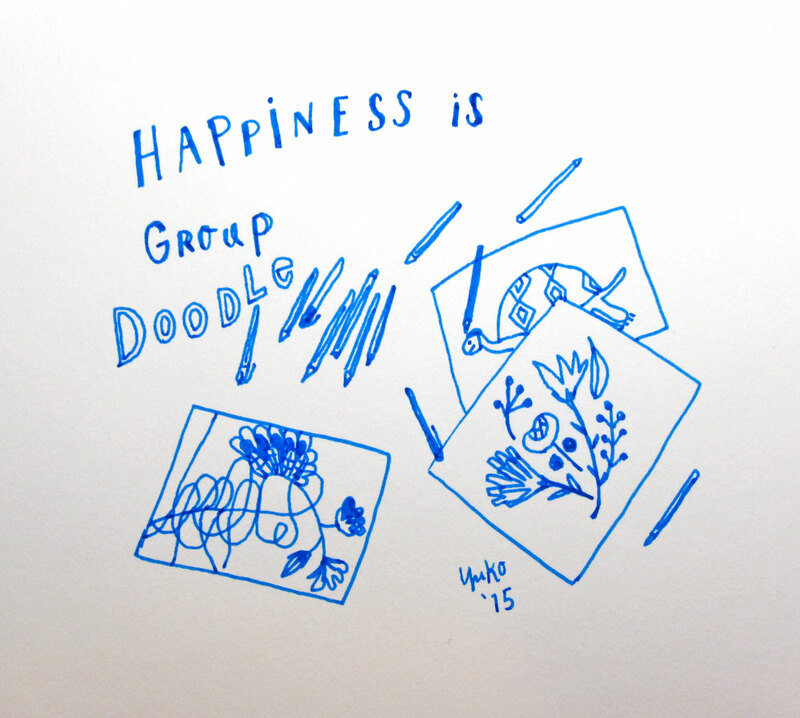 Happiness is group doodle. At the dinner today with some friends, we group-doodled and kept adding on to what other people drew. It was a lot of fun! !